The Piotr Paduszynski Law Firm was first established in 1996. Our practice is built on a framework of legally trained and dedicated specialists who provide a full range of legal comprehensive services to consumers ranging from private and institutional clients and applying specific solutions to problems posed on an ad hoc basis. Our reliable approach, extensive expertise and high level of engagement in handling cases have earned us our clients’ trust and long-term loyalty. Our solicitors represent and offer advice to corporate clients, state and private businesses both from Poland and foreign countries. We offer legal expertise and detailed guidance in handling court cases all over Poland. Our recent practice has involved international arbitration as well as representing clients in the High and Appeal Courts. Since the very beginning our law firm has represented our clients in negotiating trade and investment contracts. Our dedicated team have successfully represented both capital investors and partnership owners seeking support in negotiations over partnership joining and transfers. We have extensive experience over many years advising our clients in their day-to-day business and partnerships operations, as well as instructing shareholders and equity partners in protecting their corporate rights in partnerships. The civil and commercial proceedings regulations have been standardised for a number of years. We represent both legal and private individuals helping them in enforcing rights in Common and Arbitration Courts as well as in negotiating agreements beyond court. Our law firm has been experienced for years in giving successful guidance on public procurement procedures and offering advice and representing clients by addressing problems from the different perspectives of the procuring entities and of all the parties involved. We participate as a legal entity in preparation of court proceedings and also organisation of our clients’ documentation. For many years we have been successfully advising our clients on industrial property rights and copyright law. Our solicitors specialize in representing victims in criminal defence proceedings, claiming compensations from culprits as well as defending white-collar workers, i.e. entrepreneurs, managers, and office clerks who have been entangled in legal disputes of a criminal nature. Piotr Paduszynski graduated from MA in Law and Sociology at University of Lodz. In 1990 his career started in the President’s Ministerial Office where he participated in planning the Council of Ministers agendas as well as managing the Government Legislation Centre. He has run his legal practice since 1996. He has wide experience in financial supervision and is and has dealt with business entities’ problems at a fundamental level. He has held the function of the vice-president of the Board of Trustees of Rainbow Tour Inc as well as of the President of the Board of Trustees of Lodz Radio Inc. He is a legal apprentices’ end-term sessions invigilator and lecturer on Civil Procedural Law. He is fluent in Polish, English and Russian. Piotr Paduszynski has extensive experience in advising on legislative initiatives, amendment of the criminal code and of civil procedure. In addition he designed a draft of Partnerships Act, proposed by Parliamentary Club of the Civic Platform and discussed by 7th Polish Parliament. Piotr Paduszynski has advised on many occasions on Parliamentary Questions. In 2004, Piotr Paduszynski received a critical acclaim from the Wprost weekly experts which included law professors, politicians and journalists. He was acclaimed for displaying the greatest legal mastery of last 5 years, and which was best demonstrated by repossession of - one of the best known and dangerous Lodz Ośmiornica (Octopus) mafia assets. In 2010, Piotr Paduszynski received the largest reward for representing victims of Press infringement of personal property, which paved his way to helping others disadvantaged by cases of unreliable press publishing, in successfully claiming appropriately high contributions. 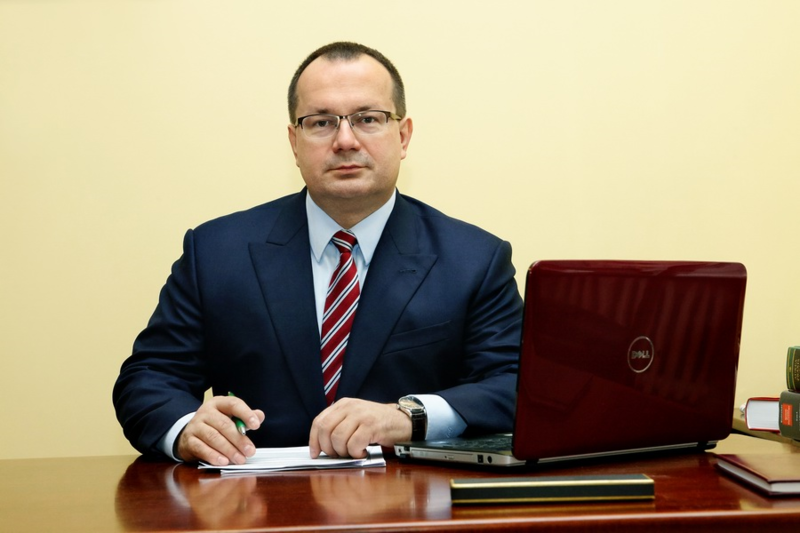 In 2010 he was first to contribute to global recognition of Polish court jurisdiction relating to personal property infringing cases against the world’s most powerful search engine owners. Działacze PZPS kopiują najgorsze wzory z PZPN. "Nie może Pan tego publikować!" Afera Infoleksu wróci jednak do sądu? Kto komu ukradł związki partnerskie, i co w tym wszystkim robią prawnicy z Łodzi?